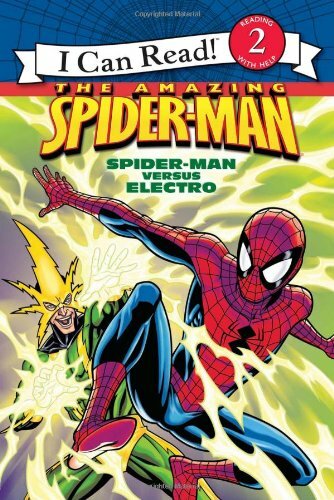 Here are the top 30 comics & graphic novels books for 7 year olds. Please click Read Review to read book reviews on Amazon. You can also click Find in Library to check book availability at your local library. If the default library is not correct, please follow Change Local Library to reset it. 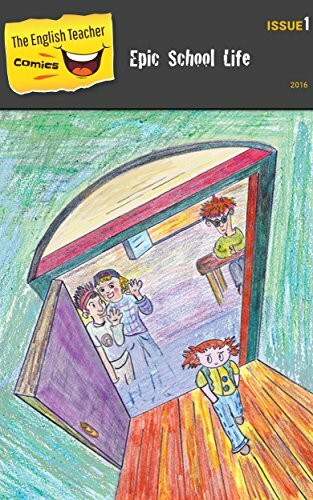 Akiko and her crew — Spuckler Boach, Mr. Beeba, Poog, and Gax — have faced dangers unimaginable to the average fourth-grade earthling. Now their mission is finally coming to an end. At last they’ve reached the castle of Alia Rellapor — but that doesn’t mean that things have gotten any easier. The castle is heavily guarded by robots and getting inside won’t be easy. If they do get in, they have to locate Prince Froptoppit, free him from captivity, and escape from the castle without alerting the guards or their leader, the half man — half machine Throck. Can a girl who’s too scared to be school safety leader pull it off? If anyone can, Akiko can! 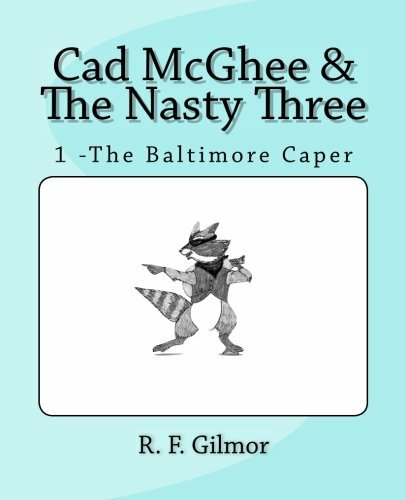 My name is Remi Muldoon, I’m ten years old, and this will probably be the most important book you ever read. And why are DUCKS so important? Well, you sort of have to read the book to find out. Let’s just say that, as usual, I find myself in TROUBLE, ducks and clowns play a fiendish role in my trouble, and somehow my good looks fail to save me. But something does save me. 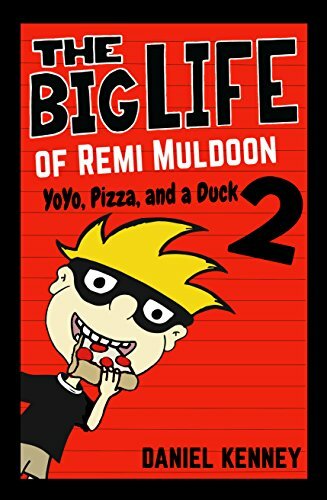 Brought to life by author/illustrator Daniel Kenney, this hilarious second book in the Big Life of Remi Muldoon series is perfect for children ages 7-12 and adults ages 21-100. Everybody loves an underdog, but what happens when the underdog looks scary? 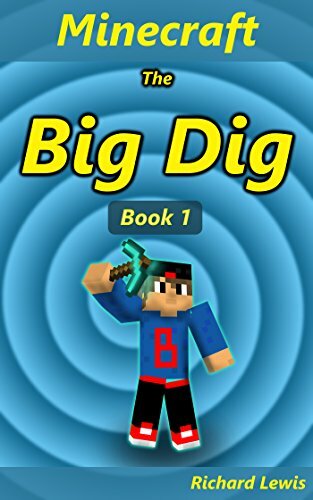 Find out in this action-packed, green-themed adventure, where looks can be deceiving and heroes have to work hard to get noticed! Demo’s a good dog, but good doesn’t cut it at Junkyard Joe’s junkyard, where only bad attitudes, bad luck and bad smells prevail. Joe is fed up with Demo’s friendliness and he’s doubly irritated by the people of Newton, USA, a town of shopaholics whose trash has overtaken his yard. Joe decides to dump Demo out onto the streets of Newton and hatch a diabolical plan to turn the tables on the unsuspecting town. 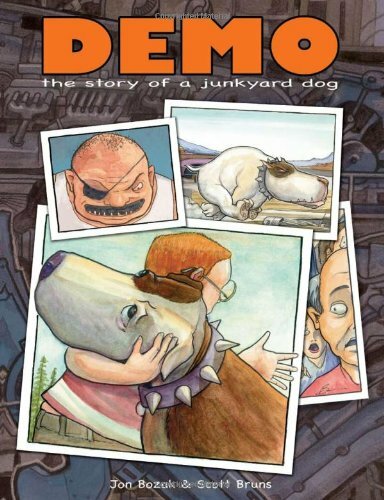 Outside the yard, Demo’s rugged junkyard appearance has everyone convinced he’s a danger to their safety, and their shopping. Not until Joe unleashes his monstrous Newton Solution to Pollution Machine does Demo get the chance to show the kind of dog he truly is. A modern fable that gently pokes fun at our throwaway society, Demo encourages readers to reconsider the things they might otherwise dismiss as disposable, while inspiring them to root for the underdog ? no matter what his appearance may be. What makes a Stinky Boy mighty-stinky? The Mighties, of course— the coolest electronic action figures in the history of the world! When the Stinky Boys (and those icky girls) get their Mighties, they use the electronic toys to do their dirty work. From a lunchroom prank gone awry to a seriously gross bathroom disaster, the Mighties make the Stinky Boys better than ever! Could your own mom actually be a superhero? 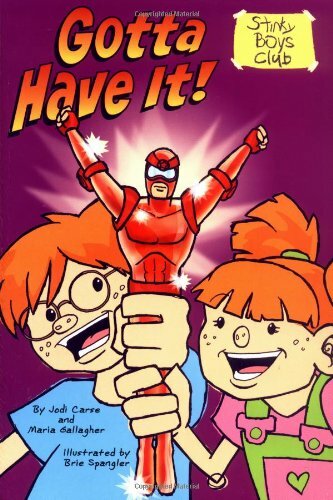 That’s what nine-year-old Me Frost wants to know, and he has figured out just how to catch her in her superhero antics. He has formed the Superhero Tracker Club, or STC, where spying, sleuthing, and a few good gadgets are going to once and for all decide if his stay-at-home mom is up to some big time hero work when he is not around. Superhero Tracker Club: #1 Supermom is Finity Frost’s hilarious tale that is as goofy as it is gross, and as smart as it is super heroic. 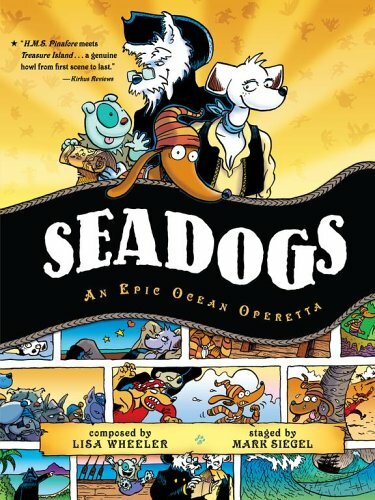 Any kid with a curious mind and a love of comedy will relish every page of this wildly inventive tale. 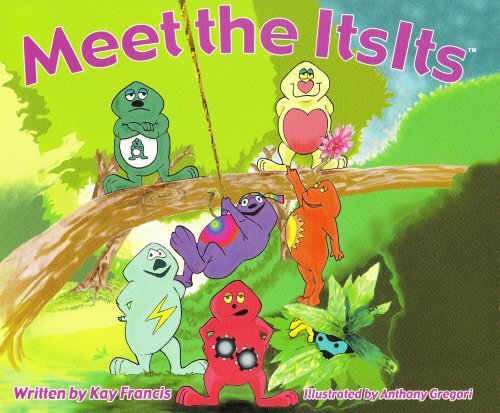 In this first in a series of illustrated children’s books, readers will fall in love with the three brainiac kids who are determined to learn whether or not there are superheroes—and if they can take the form of a mom! 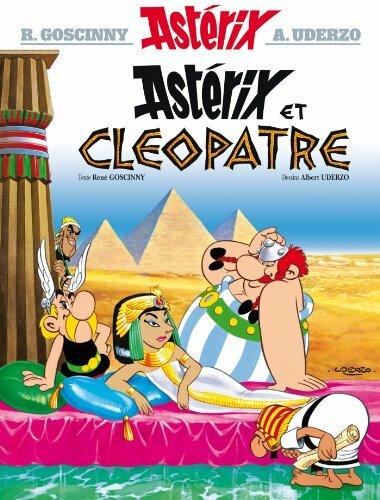 Not only does the series offer kids plenty of laughs and action, it also encourages them to embrace their own extraordinary and unique characteristics. 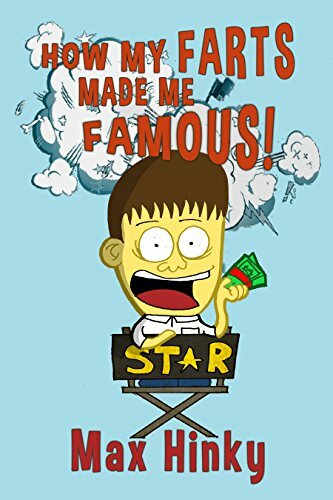 Told from the point of view of an Amerasian child, the book features three smart kids who attend a math and science school, where they must work extra hard, but also gain invaluable skills. As the friends join forces for a shared goal, each brings his or her own strengths to the mission. Me Frost has long suspected his mom is more than just the woman who makes him clean up his room. He knows she’s already a pretty busy mom, with him and his two older brothers, plus his little twin sisters, Charlotte and Rosie. Still, her ability to read minds is pretty incredible. To figure out if his mother is actually a superhero, Me invites his best friend, Luke Duckwall, to join a newly established club, the Superhero Tracker Club, or STC. But when Luke shows up for the first meeting with his neighbor, Kelsey Freely, they are off to a rocky start. She’s a girl, and the STC is definitely a boys club. 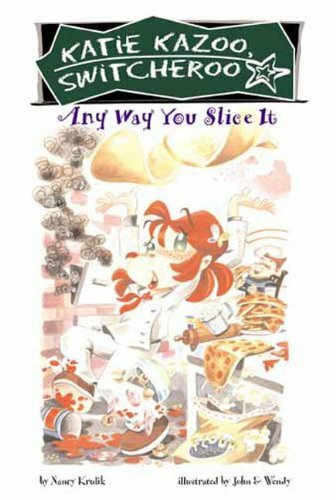 Eventually, however, Kelsey convinces him that she is no ordinary girl, and the three join forces to spy, detect, noodle, and use their serious brainpower to find out more about Mrs. Frost. To find the answer, the three members make full use of the latest technology, such as their iPhones, some special equipment, like spy recorder pens, and even international travel when Me and Kelsey take a trip to Malaysia—actually right in the middle of an orchard in Penang. When a strange-looking man named Fruitman crosses their paths, they learn more than they bargained for. Is there any superhero that can save them? To escape Fruitman, they muster up powers they never imagined, some simply from eating a gummy bear. As children hang on every plot twist, they will also learn the power of using their own minds to solve problems, while they have a super good time! 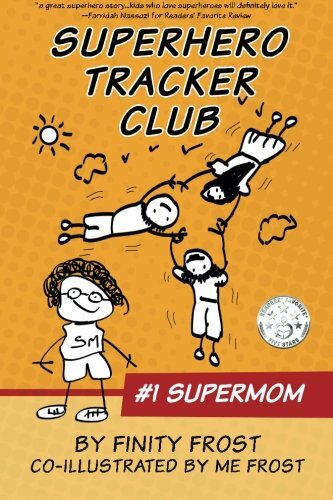 Superhero Tracker Club: #1 Supermom is a must for any smart kid who wants to crack a case—and crack a smile. It’s also ideal for teaching children that being different is something to be proud of, and that might even catch a superhero in action! 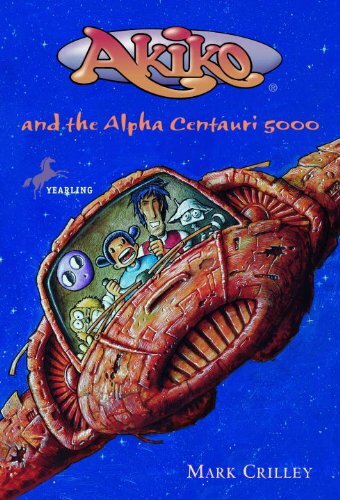 Akiko and her crew–Spuckler Boach, Mr. Beeba, Poog, and Gax–are competing in an intergalactic race from one side of the universe to the other. Along the way they have to make it through the narrow passages of the Labyrinth of Lulla-ma-Waygo, the notorious Almost Black Hole of Luzbert-7, and the deadly Jaws of McVluddapuck. All Akiko wants to do is make it back to Earth in one piece! But when Spuckler discovers that his old rival Bluggamin Streed is also in the race, winning becomes the most important thing. And Akiko quickly finds herself caught up in the competition. Who will go home with the celebrated Centauri Cup? Akiko’s back! No longer simply a shy fourth-grade girl, she’s become an intergalactic leader, taking her band of would-be heroes on a quest to find a kidnapped prince! 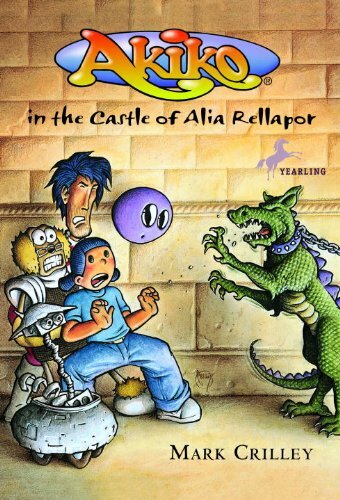 Armed with a map showing the way to Alia Rellapor’s castle, Akiko, Mr. Beeba, Spuckler, Gax, and Poog are nearing the end of their mission. 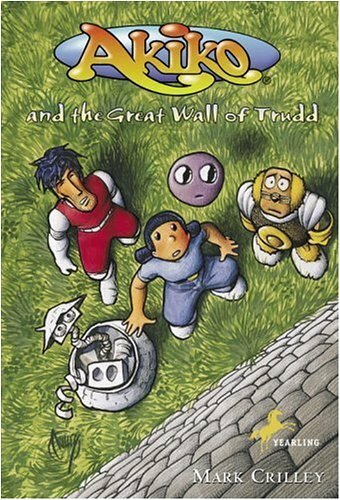 But first they have to scale the Great Wall of Trudd. Like the Great Wall of China only bigger, the Great Wall of Trudd stretches across the landscape — there’s no way around it, under it, or through it. So Akiko and the gang will just have to find a way to go over it! But the Great Wall is just one of the many strange obstacles in their path that Akiko must overcome if she’s finally to rescue Prince Froptoppit. 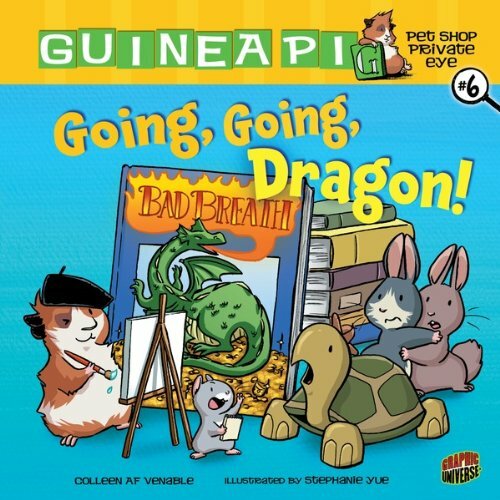 If you like fart books for kids, you will love this one! Max Hinky’s favorite dinner is his dad’s Spaghetti Explodarama. But on the day after he’d had six helpings, Max had a case of gas that wouldn’t quit. Now the whole of Cloverfield school thinks he’s gassing everyone out on purpose. Probably even Amy (the only non-weird girl at school). On top of that—the bully brothers, Kryton, Kelvin and Kenny—are hot on Max’s stink trail. Yet by the end of this day, Max’s stinkazoids are going to rocket him to fame! 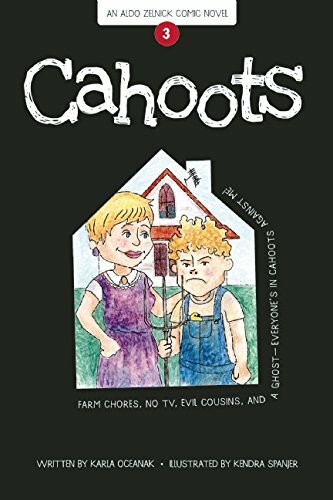 A humorous book for reluctant readers. A traves de Mafalda y sus amigos, Quino reflexiona con humor critico e inteligente sobre la politica, la economia y la sociedad en general. 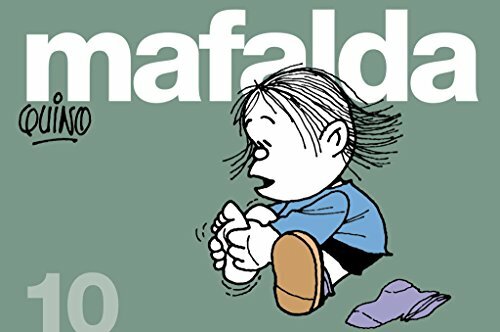 Nueva edicion conmemorativa por el 50 aniversario del popular personaje, que es ya una figura reconocida a nivel internacional.Este es el numero 10 de una serie de libros cuya protagonista es Mafalda, el celebre personaje de Quino. Estas tiras comicas fueron publicadas en diarios de Buenos Aires, Cordoba, Tucuman, Santa Fe y Montevideo.Desde la Guerra de Vietnam y la carrera espacial hasta el movimiento tercermundista y los derechos humanos, el mundo entero se simboliza en un globo terraqueo que la protagonista cuida, igual que a un enfermo: lo acuesta en la cama, lo abriga y hasta intenta mejorarlo con las cremas de belleza de su madre. Con Mafalda la infancia perdio su inocencia, mientras el genero de la historieta paso de lo social a lo psicologico.Mafalda esta mas viva que nunca. Reaparece siempre fresca y renovada en sus nuevos libros y periodicos. Hace cine y television. Viaja en la imaginacion colectiva de infinidad de naciones que son muy diferentes entre ellas culturalmente. Y llega a los lugares mas insospechados, volviendose familiar a generaciones que no tienen nada que ver con la que vio nacer a Mafalda. FOR USE IN SCHOOLS AND LIBRARIES ONLY. 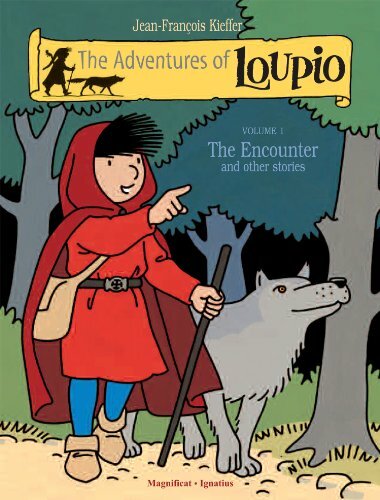 The Knight is looking for adventure, with help from the magical cartooning elf, he travels the kingdom meeting different characters, in a text in graphic novel format. All the beloved fairytale classics are kinda… broken. I mean, they don’t have ANY Dinosaurs, Robots, Zombies or Space Aliens in them. I don’t know what those guys from olden days were thinking. So! I took all those cherished children’s stories, added some crazyness, and vastly improved them! Probably! 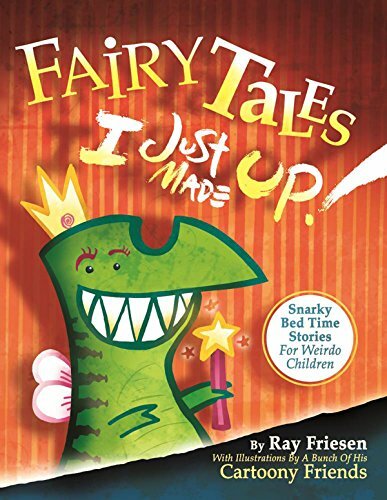 Fairy Tales I Just Made Up is jam-packed with weirdo fun, including The Dumbest Love Story Ever, Magical-Science, and Bacon Helicopters. FOR USE IN SCHOOLS AND LIBRARIES ONLY. 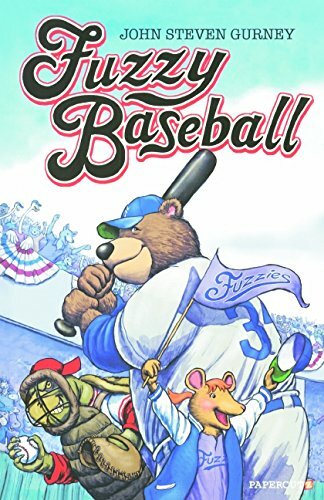 It’s the game everyone has been waiting for-The Fernwood Valley Fuzzies Vs. The Rocky Ridge Red Claws! The Fuzzies, featuring such all-star players as Jackie Rabbitson, Sandy Kofox, and Hammy Sosa, are ready. So are the Red Claws, with players like Gator Gibson, Stetch Giraffolo, and Fernado del Toro. Together they’ll make this the greatest game ever played between the two longtime rivals. And you have a front row seat at Fuzzy Field! Sasspants, Hamisher, and company have never had it so good. Now that Mr. Venezi’s Pets and Stuff doesn’t actually sell pets, everybody has time to explore other interests. There’s scuba diving in the fish tank with the Steves, theatrical performances with the mice, and walrus toothbrushes and aardvark neckties for everyone! It’s not all good times, though. Mr. Venezi’s been mistaking his bills for fan mail and a dragon may have moved into the shop. 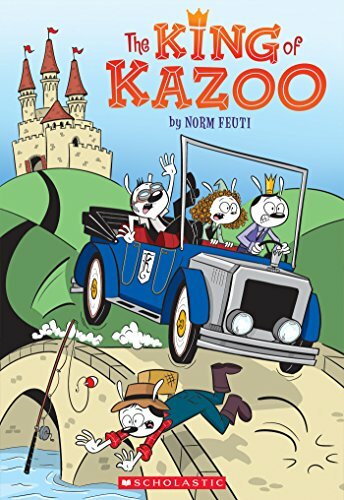 Can Sasspants and Hamisher ensure that a “happily ever after” is in store for the animals, Mr. Venezi, Viola…and even that nice lady from the bookshop next door? The English Teacher Comics is an illustrated story about friendship, competition, love, secrets, play, and being funny when things are not that great. 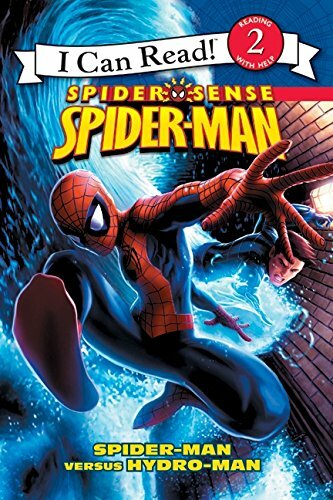 In this issue, the Head of the School Program is getting exposed to scary sharks, the pizza man begs to stay in the classroom, and teacher Hanna is being left with only one student in her class. You will have to read this issue to find out why. Written by Shoshana Brand, the English Teacher Comics introduce you to a public school English class, taught by teacher Shoshana. 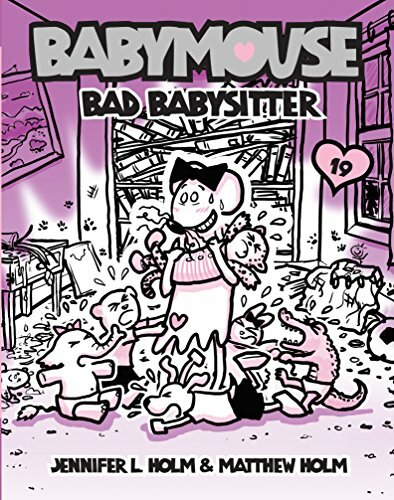 You can read more about the author Shoshana Brand @ her English Teacher Comics site. For ages 7+. No violence. Just how humdrum is 10-year-old Aldo Zelnick’s life right now? So humdrum that he sets out to measure which January day will be the most boring. So humdrum that Jack and Bee succeed in getting him to try some weird hobbies. So humdrum that his recurring Hawaiian dream has become way more enticing than real life. So humdrum that even unathletic Aldo agrees to downhill ski with his superjock brother, Timothy ? 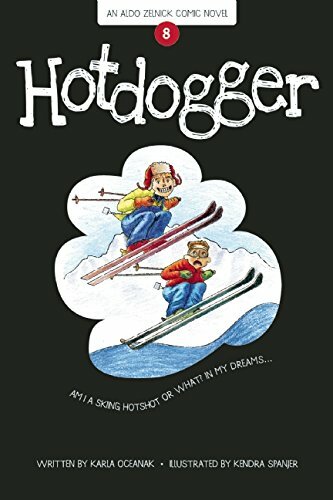 and finds that hotdogging it on the slopes can be hazardous to your health. 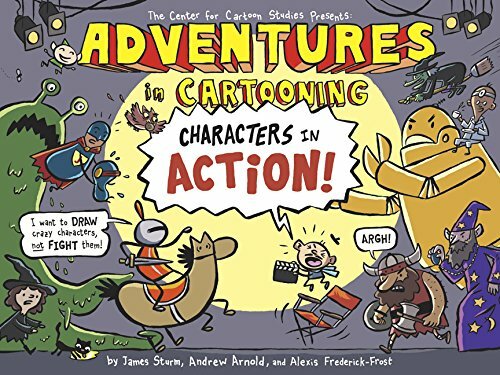 The humorous plot and lively drawings in this book will captivate enthusiastic and reluctant readers alike. This eighth installment in an A-to-Z alphabet series also includes a glossary of fun and challenging ?H words,” such as harbinger, hyperbole, and hogwash. The Big Dig is the biggest yearly event in Stone Valley and has been for the last 104 years. Adventure with Brandon as he uncovers the mayor’s dirty little secret. Watch as he discovers long-lost magic that can not only save the day, but might even save his town. Superman! Superboy! Supergirl! Krypto the Superdog! 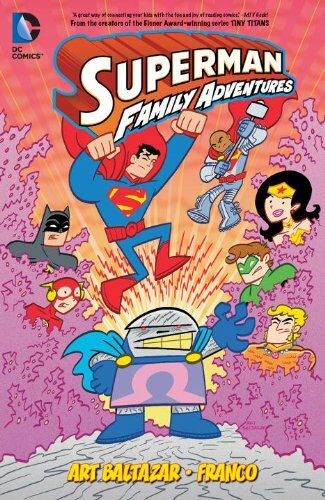 The entire Superman family is re-imagined here in this energetic all-ages graphic novel. Read on as the heroes of Metropolis fight foes such as General Zod, Darkseid, Brainiac, and as always, super-scourge Lex Luthor! 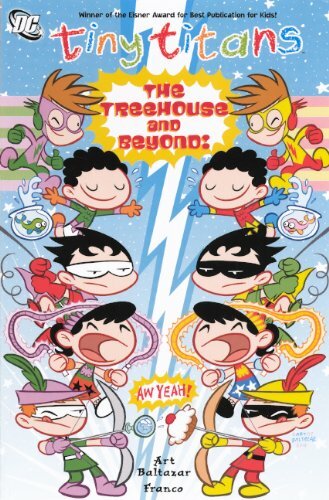 The critically acclaimed team behind TINY TITANS tackle the Superman family in this all-ages graphic novel! Collects Superman Family Adventures #7-12. 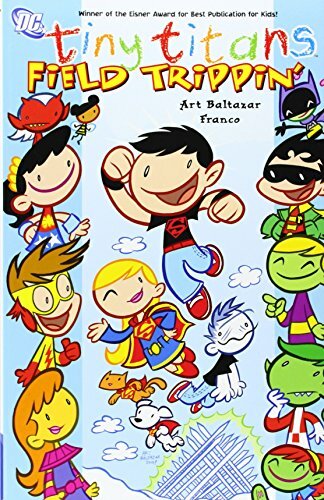 These all-ages tales from the DC Universe, beautifully written and illustrated by Art Baltazar and Franco, will entertain new readers and seasoned fans of comics. In this new collection, Supergirl toddler-sits the tinier Tiny Titans. Then, the gang heads to the Fortress of Solitude for a super birthday party — which is crashed by a crew of Braniacs.